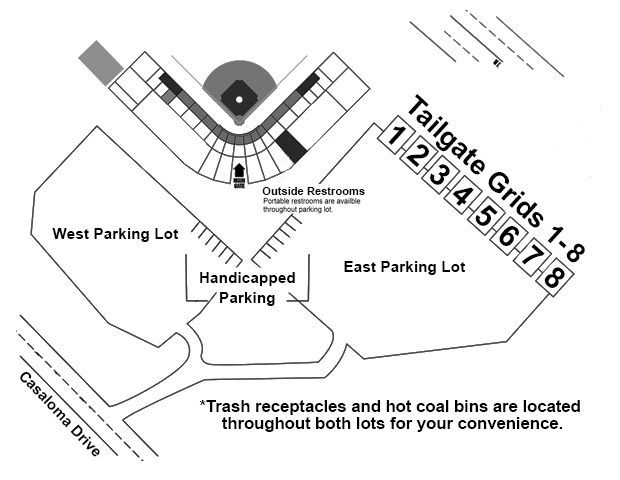 Tailgating is allowed and welcomed in the parking lots at Neuroscience Group Field at Fox Cities Stadium. The parking lot opens 2 ½ hours prior to game time. Parking lot attendants will be on hand to direct and assist you as you enter the lot. We ask that you please set up either in front or behind your vehicle and not in another parking stall. All outside catering services are prohibited anywhere on the grounds. 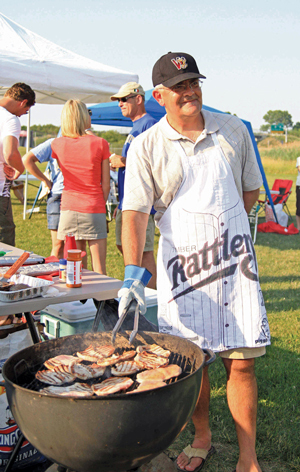 Reserve a tailgate area of your own to gather as a group before the game! Tailgate grids are 36' x 70' in size and consist of part grass, part concrete for versatility while grilling and playing! Each tailgate grid can be reserved for $60 and includes three free parking passes. These passes allow you to park next to your tailgate - all other guests must park as directed by the parking attendants and walk to your designated tailgate grid. Tailgate grids that are not reserved are available day of game on a first-come, first-served basis. Reserve your grid today!